Nursing care is truly an art. Our compassionate and caring nursing staff know how to help our guests quickly get on their way to a successful recovery. Catalina’s skilled nurses allow us to provide state-of-the-art care to a broad range of patient needs. 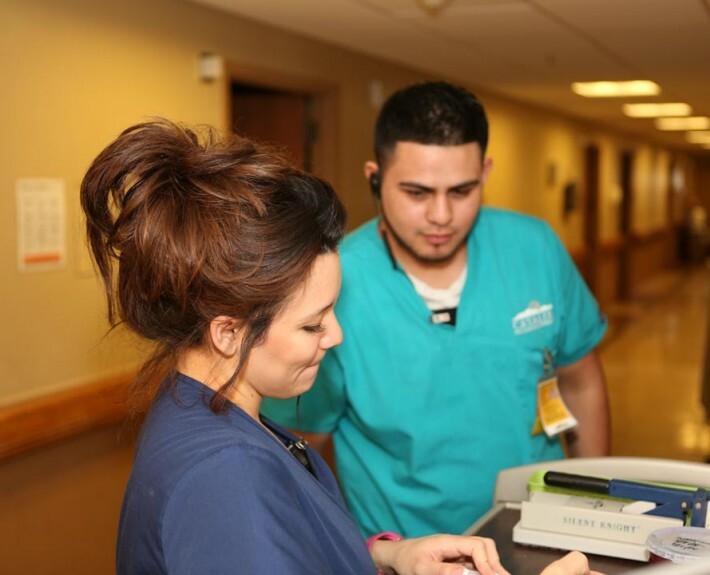 Our Nursing Staff is passionate about providing the best care available to our patients. Through continuing education and Catalina’s unique team approach to caregiving, our Nursing Staff and Therapy Teams bring the latest techniques and programs to our patient care. You will find a compassionate and caring Nursing Staff at Catalina Post Acute Care and Rehabilitation. We work hard to master the art of caring for the unique needs of our guests. Catalina Respiratory Therapy is very successful by partnering with families and providers to improve the quality of life for our respiratory residents. 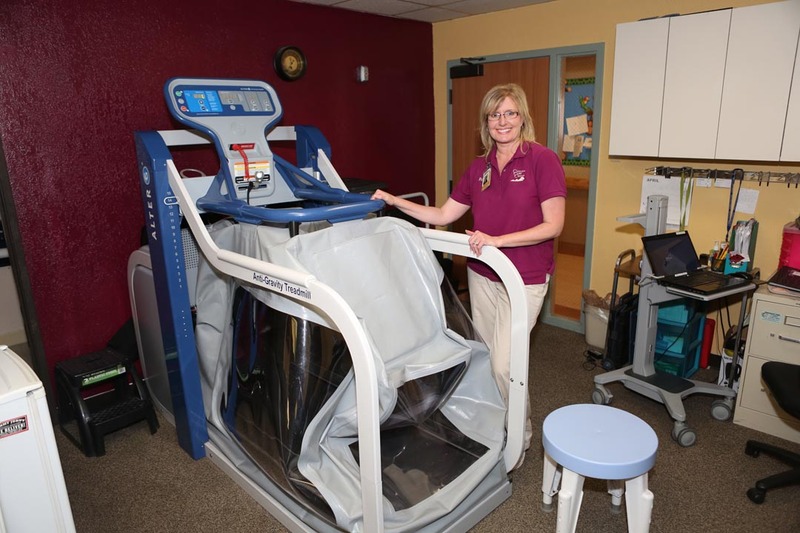 Catalina’s ventilators and oxygen are portable, allowing patients to enjoy many home-like activities. The modes of ventilation that we offer include CPAP, SIMV, AC, NIPPV, pressure control and volume control. Catalina offers in-house bedside dialysis for patients unable to travel to outpatient dialysis due to weakness or other etiologies, and patients requiring artificial ventilation. Catalina administers expert care to complex wounds including pressure ulcers, venous & arterial wounds, diabetic wounds, slow-healing surgical wounds, and those requiring wound vac therapies. Catalina works with some of the best wound doctors in southern Arizona. 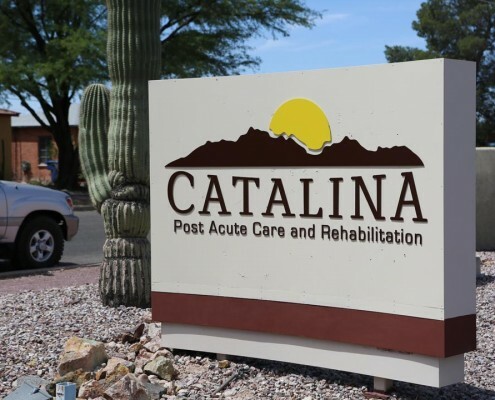 Come and visit us at Catalina Post Acute Care and Rehabilitation, and you’ll notice a definite difference: our caregivers are the best.